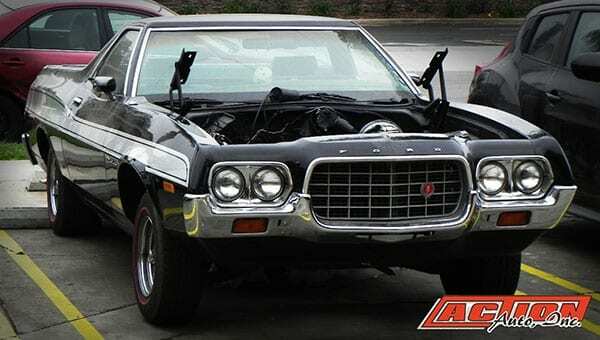 These classic car restoration projects give us here at Action Auto Cypress an opportunity to not only work on a genuine piece of automotive history, but to also help our customers keep these classics running for years to come. 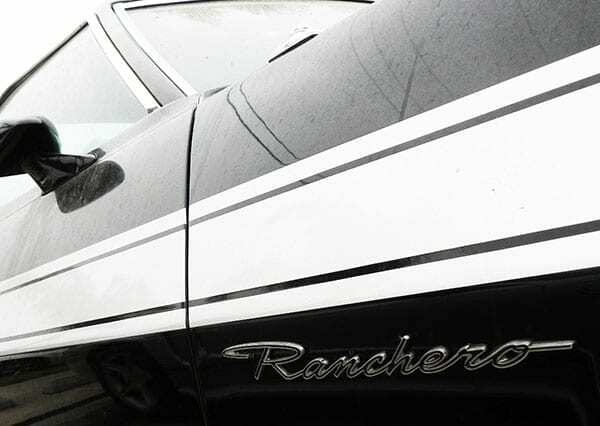 Recently we began restoring a customer’s 1972 Ford Ranchero. 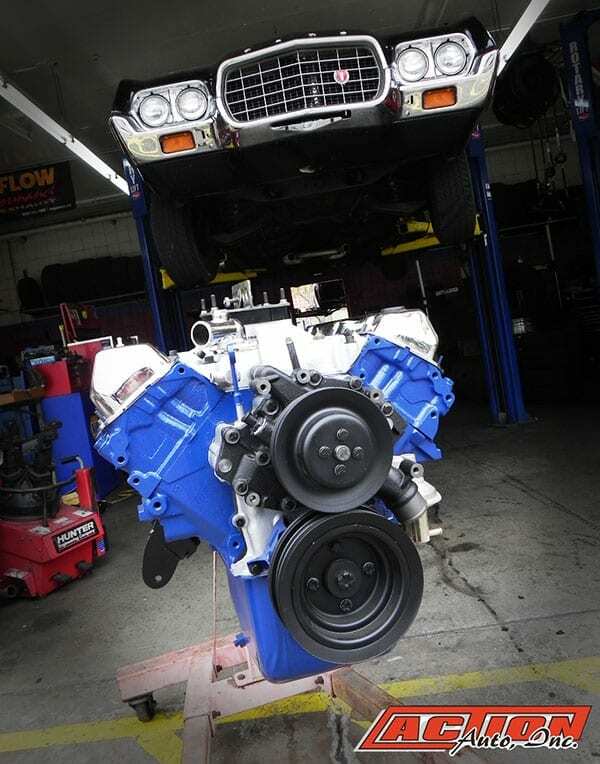 The primary concern that needed to be address was a cylinder issue within the Ranchero’s massive 429 ford engine. 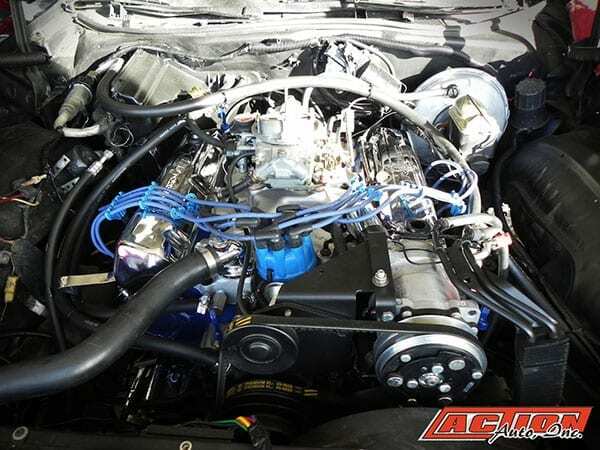 While this engine is not original to this vehicle, it does belong to the same era and can be an ideal modification to boost the horsepower under the hood. One thing to note about this 429 Ford engine is the extremely tight fit when attempting to remove or reinstall it on the Ranchero. This is one of those sticking point that later becomes more apparent as the mounting proceeded. 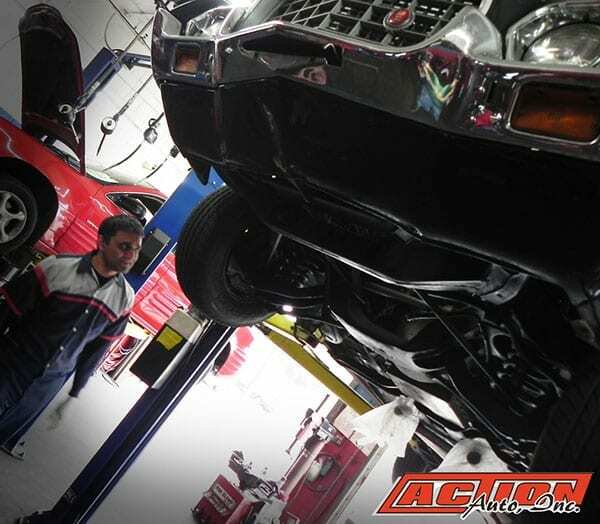 As one of our automotive technicians rolls in the vehicle and raises it on the hydraulic lift, he begins to inspects the transmission assemble underneath. Why you ask? Again, the larger dimensions of the 429 engine require that the transmission be completely removed to allow space for the installed. 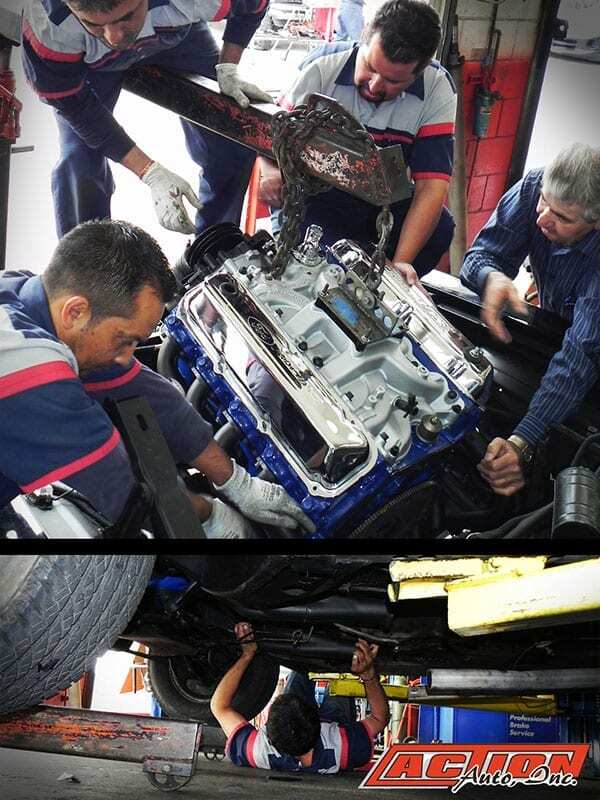 Our mechanic carefully removes the transmission and ensures to clean any spilled fluids before rolling out the Ford engine for installation. As the massive engine is positioned over the Rachero utilizing a carefully positioned engine lift, it becomes obvious that we would need additional assistance from our crew members to ensure the engine was properly guided in. During the process, one of the engine headers also needed to be removed and later re-installed from underneath to allow the engine to fit correctly. While the added attention needed to carefully maneuver the 429 engine into place did require extra time, our crew was pleased with the results and looked forward to revving it up. 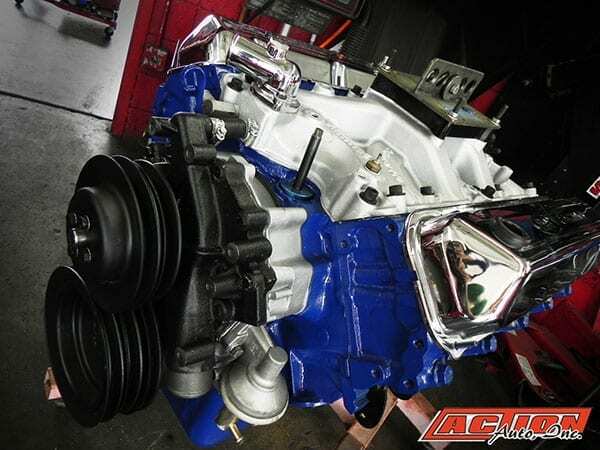 The completely rebuilt Ford Engine was finally mounted thanks to our talented crew here at Action Auto. 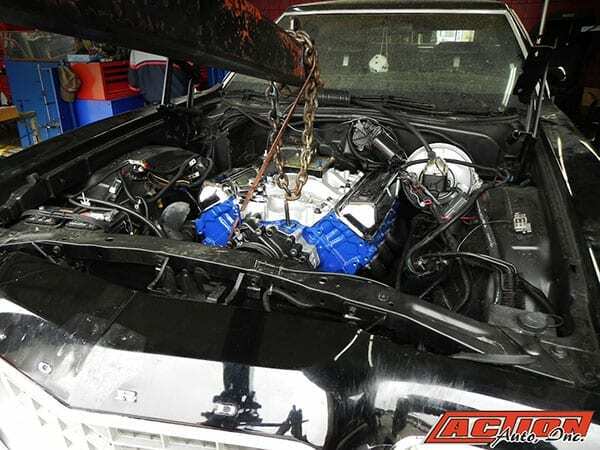 Our lead mechanic will continue to finish up a few final details, such as sandblasting and repainting key components, before returning this classic 72′ Ford Ranchero to its owner. We consider ourselves quite fortunate to be in a position to help our customers bring back this small piece of history. Let us know if you have any comments or even share links to your latest classic car restoration projects. Once again thanks from Action Auto Cypress and remember to stay safe on the roads. Vacation Road-Trip Time is Gas Saving Time. Can a Tire Balancing Actually Save You Money?